With a Cash ISA or a Stocks & Shares ISA, you can put money aside for the future and you don’t pay any tax on any gains you make. Introduced in 1999, Cash ISAs tend to be more popular than Stocks & Shares ISAs. For instance, of all the ISAs that were opened in 2017/18, about 7 million accounts sat in cash and around 2 million were Stocks & Shares ISAs1. But is it the right decision for everyone to help them grow their money in the long-term? A Cash ISA lets you save up to £20,000 each tax year, and in exchange, you receive tax-free interest payments, so when the money in your ISA grows you get to keep all of it. 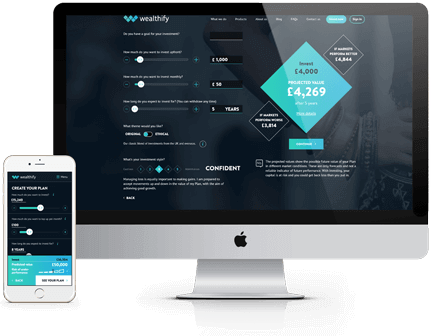 With a Stocks & Shares ISA (also known as an Investment ISA), you invest money (up to £20,000 per tax year) on stock markets like the FTSE 100 and the S&P 500, and you don’t pay any tax on any of your returns. As markets rise or fall, so do the value of your investments. This means you can get back less than you put it, but your money also has the potential to grow further than in cash savings. When it comes to choosing an ISA, it’s worth thinking about what you want to achieve and how long you have to reach your goals. For instance, saving towards a new car is unlikely to take as long as saving for your retirement. Typically, paying into a Cash ISA is better suited to fund your short-term projects, since you get a regular income and easy access to your money. Also, in the short-term, your money won’t go down. Due to its low-risk profile, a Cash ISA can also be used to build a rainy-day fund of emergency cash in case an unexpected bill shows up. However, it may not be suited for longer-term goals since inflation could have a negative impact on the real growth of your savings. Holding a Stocks & Shares ISA could be more suitable to fund long-term goals, whether it’s preparing for retirement or saving for a big trip. With a Stocks & Shares ISA, your money is subject to market movements, which can often be sharp over the short-term. As a result, sticking with your Stocks & Shares ISA for the long-term should help you ride out any market bumps and give your money enough time to potentially grow. How do Cash ISAs and Stocks & Shares ISAs generate returns? The way Cash ISAs and Stocks & Shares ISAs perform is very different. If you have a Cash ISA, you’ll receive a fixed-rate of interest, in return for depositing your money in the account at your bank (or any other Cash ISA account provider). The benefit to the bank is that they can use the capital from the monies deposited in savings accounts to lend out to borrowers, whilst on your side, you get a bit of growth on your money (and an assurance that your deposits may be protected under the Financial Services Compensation Scheme (FSCS) should anything happen to your bank or ISA provider (please always check whether your account is protected under the FSCS)). However, this doesn’t take into account the impact of inflation. If the rate of inflation is higher than the interest rate paid by your Cash ISA, the value of your savings will decrease in real terms. To see your money really grow, the interest rate you earn should be higher than inflation. A Stocks & Shares ISA doesn’t pay a fixed interest rate. Your returns depend on how well your investments are doing and how much they’re worth when you sell them. So, with investing there’s no guaranteed return and you could get back less than you originally put in, but investing could also provide you with higher returns in the long-run. When you invest, you’ll see the value of your investments go up and down – this is normal. Markets are like roller coasters and as an investor, it’s important to learn to live with these bumps and think long-term. Evidence suggests that people who remained invested in the FTSE 100 index for any 10-year period since 1984 had an 88% chance of making a positive return on their money2. If you are unsure about whether investing is right for you, please seek financial advice. Can I have a Cash ISA and a Stocks & Shares ISA at the same time? Yes, you can pay into a Cash ISA and a Stocks & Shares ISA in the same tax year, as long as your contributions don’t exceed your annual allowance of £20,000. Holding both a Cash ISA and a Stocks & Shares ISA is a good way to prepare for your near and distant financial future. Quiz: Is a Stocks & Shares ISA right for me? How would you describe your saving habits? I save what you don’t spend. I have a regular direct debit going to my savings account around pay day. What’s your main financial goal this year? An unexpected bill comes your way; how do you react? I borrow from friends or family. I’ve got to use all my savings and I now have none. I had everything planned, so I take money out of my emergency fund and pay the bill. You have around £150 left over at the end of the month, what do you do? Leave it in your account as a buffer. Transfer it to top up your savings. When it comes to planning your finances, what do you do? I don’t really plan, I prefer to live from day to day. I try to manage my money at the end of the month. I’ve created a budget and I spend what’s left after saving. Mostly As: Your financial situation isn’t in the best shape at the moment, and investing might not be the priority for you. Instead, you could focus on taking control of your finances. A good way to start developing healthy money habits could be to treat savings like any other monthly outgoing, not an optional extra. Right now, putting money aside might look like mission impossible, but you can always start by using a savings account (Cash ISA, or traditional savings account) and save small sums regularly. Mostly Bs: You know the basics: you save as much as you can but it’s not always easy to keep up with the good habits. Now could be a good time to intensify your efforts and find ways to increase your savings before you consider other ways to make your money work hard. Mostly Cs: You seem to be on top of your finances and it sounds like you know what you’re doing. If you’re pursuing long-term financial growth and are happy taking some risk, paying into a Stocks & Shares ISA could be something to consider. But before you invest, make sure you ask yourself the right questions: What are your investing goals? How long will you invest for? How much will you invest? How much risk are you comfortable taking? What will you invest in? Will you need help?